Mud flaps, Splash guards, and mud guards are necessary for all truck owners. We use our trucks to tow boats & trailers, take off road adventures, haul & move stuff, work and play. Flaps can help extend the life of your truck and the investments we choose to tow. We make it easy for you to find a set of flaps that will fit your lifestyle. There are two styles of mud flaps for trucks. Molded and Universal. 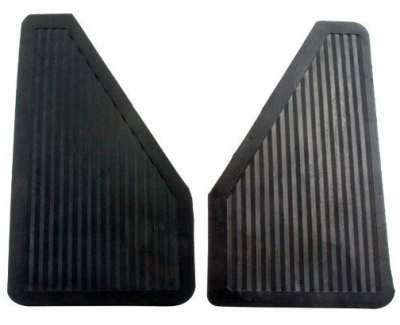 Molded mud flaps are designed to specifically contour to your vehicle. Universal mud flaps are made to fit any vehicle. Click here to view mud flaps that will fit your vehicle. We recommend hitch mount systems if you tow anything. 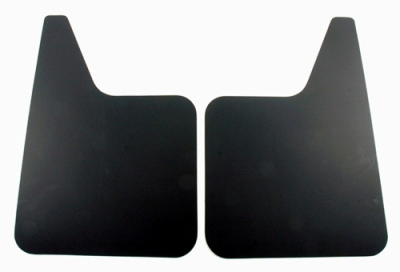 Hitch mud flaps cover a large area behind your vehicle keeping your boat and trailer free from rock chips. Look at longer and wider mud flaps if you have a lifted truck. This is important because State and local governments are increasing the laws on mud flaps and fenders for larger lifted trucks. If you need help finding a set of flaps please call us at 1-720-242-7322 and ask us! With so many options we can point you in the right direction. Call us today! 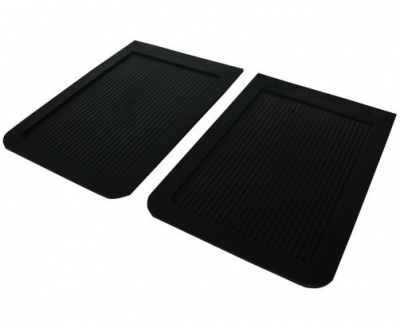 Dee Zee Splash Guards are made from the highest quality and heavy duty materials. These Mud Guards offer are of Molded & Universal design and will fit on nearly any kind of vehicle. Heavy-Duty construction molded rubber with Diamond Plate Aluminum Plates provide a very durable Mud Guard. Universal fit for Single or Dually Mud Flap applications.